The New Orleans outfit were scheduled to play a run of shows in July and August. 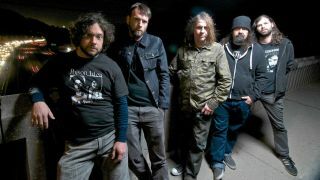 They say in a statement: “Eyehategod sadly regret to inform our European and UK fans, friends and promoters that we will not be coming over this July and August. Last year, the band were forced to cancel their Australian and Mexican tours on doctor’s orders due to frontman Mike Williams’ mental health struggles. Their last release was their 2014 self-titled album.